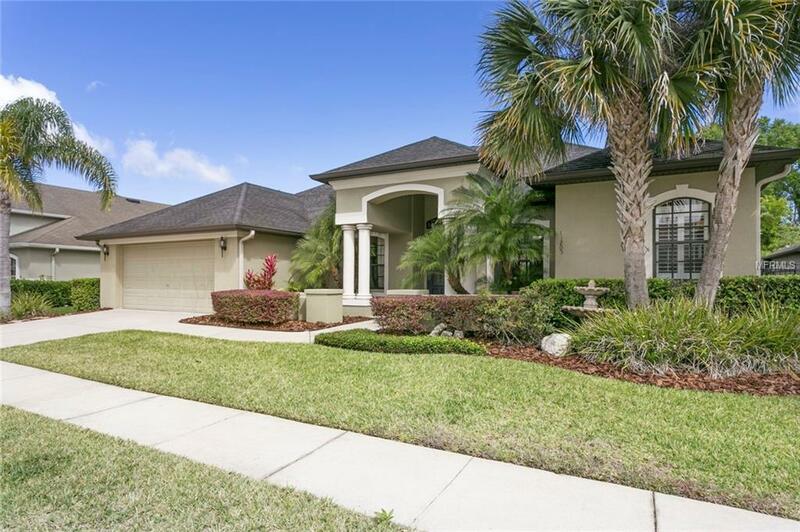 Popular Lexington IV constructed by Windjammer is located within the absolutely beautiful gated community of Grey Hawk at Lake Polo.This home is situated on a large conservation homesite and features 4 Beds+Den/Office,3 full Baths & 2 Car Garage. 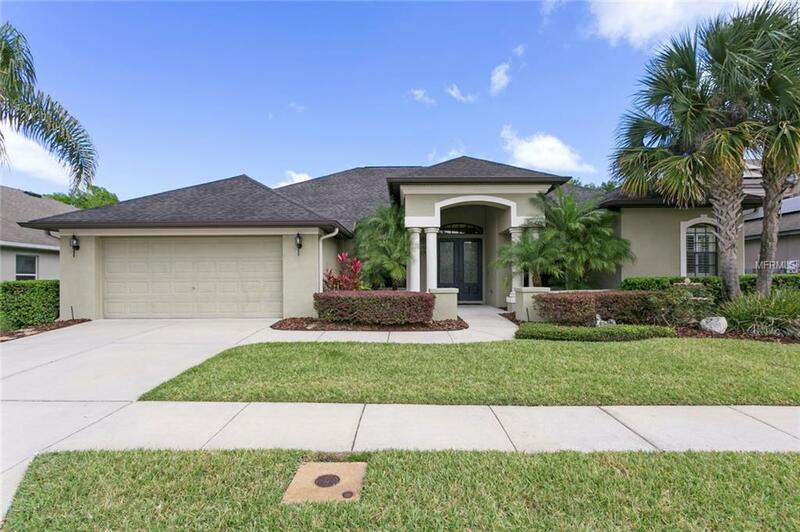 Well manicured landscaping invites you onto the front patio and through double front entry doors highlighted with leaded glass where you are greeted with 10 volume ceilings & oversized tile flooring that extends across the Dining and Living areas. Custom design features throughout to include trey ceilings in the formal Living and Family Room, crown moldings, chair rail, wall trim, windows & an abundance of recessed lighting throughout. 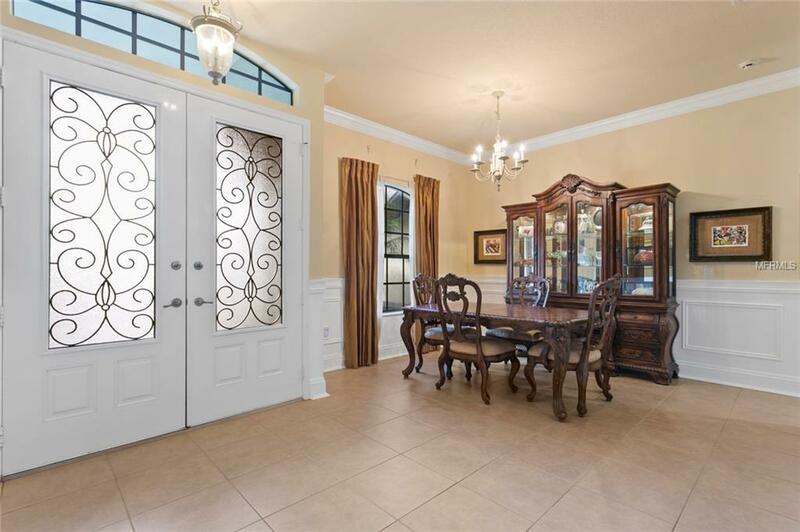 Gourmet Kitchen features hardwood 42 cabinetry w/ crown molding, granite countertops, tile backsplash, built-in desk, snack bar and breakfast area. Elegant master suite offers walk-in closets, dual vanities with upgraded wood cabinetry, granite countertops w/ under-mount sinks, Garden Tub, tiled walk-in shower & Plantation Shutters. Bedrooms 2 & 3 are large and share a Bath and Bedroom 4 includes an en-suite Bathroom w/ walk-in shower that doubles as a pool bath providing direct access to the spacious covered lanai done in stone pavers. The pavers have been extended behind the home making it a perfect place for entertaining, BBQ or just relaxing! There is plenty of room for a pool and the property is fully fenced. The HVAC system was replaced in 2017. 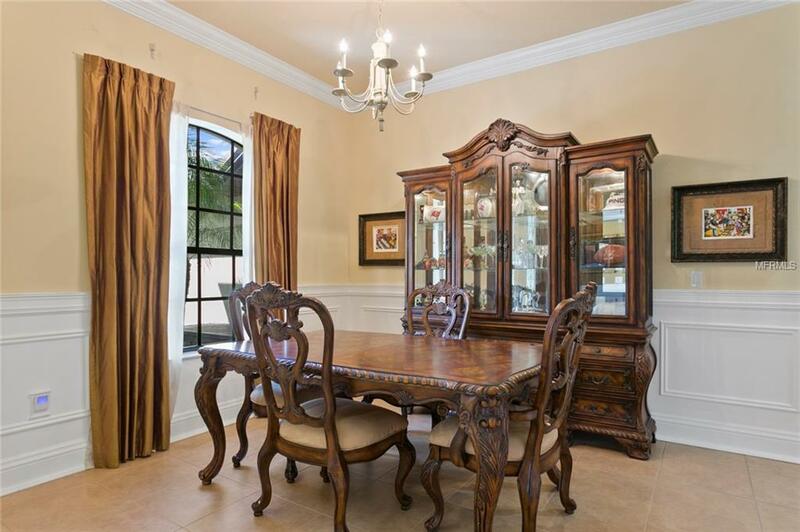 Amenities include fishing, playground, basketball, volleyball, tennis & more!